Time to think, explore, wonder and relax. I spent the morning wandering along the walkway along the river in Gisborne. 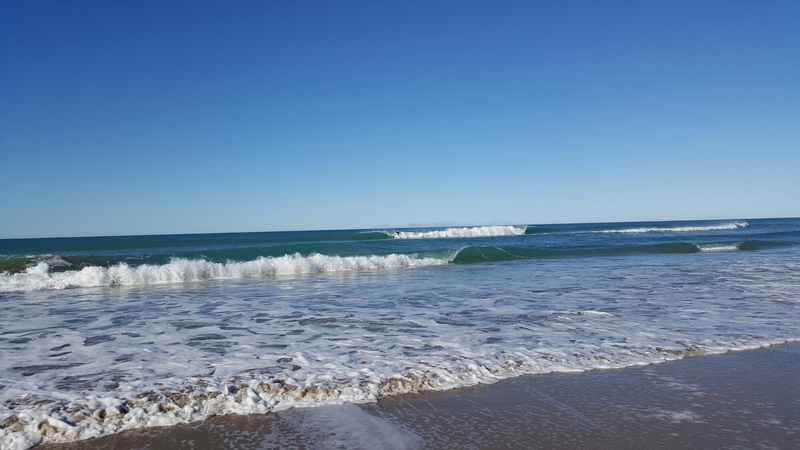 Then I headed out to Wainui Beach. After a few days of chilly, blue sky weather the wind seemed to have turned and with the sunshine came a gentle warm breeze. I cannot resist putting my toes in the ocean and so my walk along the beach was bare foot paddling. But as I sat on a driftwood log watching the surfers lazily float around waiting for the next wave I felt myself being drawn in. The water was delicious, cold but exhilarating, I let waves break over me and I dived through them gasping as I came up. Sitting in the sun afterwards drying off, it was hard to believe it is winter.